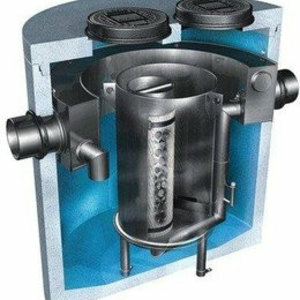 Aco coalescence separator with bypass and sludge trap - Diederen Drainage Technology - Afwateringstechniek B.V. 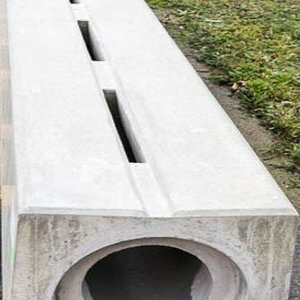 The Oleopass is a concrete oil separator for underground installation with traffic D400. The prefab cladding of reinforced concrete C 35/45 is monolithically cast, in accordance with NEN-EN 206-1. 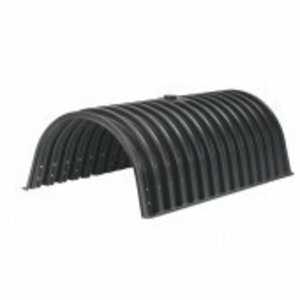 The inside is provided with an oil-resistant coating on a blasted surface. 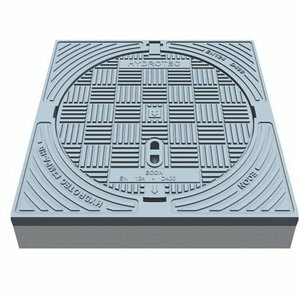 The cover plate and any shaft construction are provided with an oil-resistant seal. 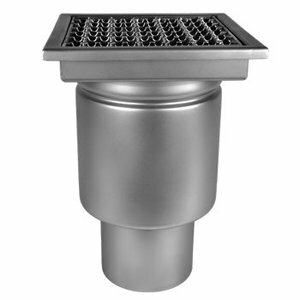 The cast iron cover, traffic class D 400 (alt. B125), covers the oil separator. The internal built-in parts are made from high-quality PE. 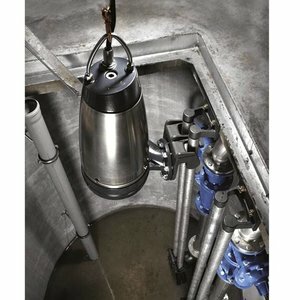 The automatic closing of the separator outlet by means of a float is standard tared for liquids with a maximum density of 0.90 g / cm3. Deviating densities are possible on request.